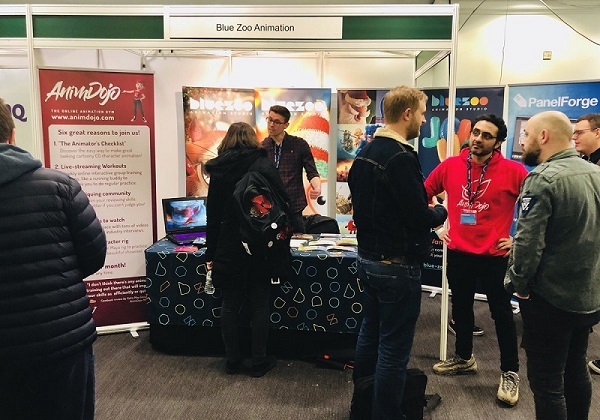 If you’re an aspiring animator you’re probably thinking of attending one of the many animation/VFX festivals, with a view to visiting your favourite studios in the recruitment area to nail that dream job. Easy right? Not so much. But coming prepared will certainly help you stand out from the crowd, so as veterans of the recruitment stand we’ve put together our top tips on festival etiquette and how to make a good impression while you’re there. First things first, you may be wondering why come to the festival? Will it really make any difference? Unequivocally the answer is yes. Aside from all the great talks and demos you can watch and learn from, you are meeting potential employees who love to put a face to a name (or showreel). You’ll also be mingling with the wider animation community who are a great resource and a tight-knit bunch who can potentially open doors for you throughout your career. If you’re nice, polite and attentive, people will want to work with you. It’s the same as in a job interview. Good advice for life in general really. Even if you’re not the most confident person in the world, if you’re relaxed you’re more likely to make a good first impression. It’s important to remember that we’ve all been in the same situation as you, so there’s no need to be nervous. Don’t ‘lurk’ (we can see you), give a firm handshake, ask direct questions so you find out what you need, have a two-way conversation so we’re likely to remember you, and don’t just take all the free stuff! Google us! Research a bit about who’s at the festival and the kind of work they produce. We’re not going to believe that you want to work with us if you don’t know what we do! Nothing’s more frustrating than having to wait 5/10 minutes whilst someone tries to access their film/reel, then having to try and view it on a phone. Bring a tablet or laptop, make sure it’s ready to roll, make sure it’s brief, and make sure the screen’s clean! Oh, and please don’t offer us in-ear headphones (blurgh!!!). If you take notes, whether or not you read them again, it looks like you’re taking on board what we’re saying and are likely to implement our suggestions. It shows you’re taking things seriously, and on a practical level it will help you remember who you’ve seen and what they’ve said! Have some consideration for the other people who are waiting and don’t overstay your welcome – lack of awareness will reflect badly on you. We don’t need to watch a 10-minute film to be able to give you feedback, so keep your work brief. Also, don’t give us business cards! Take the details of the person you’re speaking to and contact them yourself (we don’t have time to contact everyone we meet). Staying in touch and making connections undoubtedly helps when you’re looking for work, and you won’t be forgotten if you drop us a line from time to time with new work or just to say hi. Don’t always expect something in return, and if you’re connecting via LinkedIn be courteous and briefly introduce yourself (we can’t remember every name!). Don’t pester! It’s a good idea to have a reason to get in touch, like new work, but if not be professional, concise, and keep it to a minimal just to stay on our radar. Most importantly – listen to us! We know what we’re talking about. We remember what advice we’ve given people and can see when they’ve taken it on board. As an employer, this is important to us as it reflects your work ethic. If you’ve no new work to show us, hold off getting in touch and concentrate on improving your skills. Patience and perseverance will pay off in the end. Good luck on your recruitment journey! From the team at AnimDojo and Blue Zoo Animation. Blue Zoo is one of the UK’s leading animation studios with an enviable client list and a shelf full of BAFTAs for their trademark CG character animation. They’ve produced some of the most well-loved kids shows on TV, memorable commercials, and their animated shorts are rapidly gaining world-wide recognition for artistry and innovation. AnimDojo is a new breed of CG animation training for the 21st century. It’s been designed from the ground up to be efficient, affordable & flexible, focusing on short, structured exercises to help build your self-critiquing skills.